Debuting next week at the San Diego Comic Con — Kagan McLeod’s Infinite Kung Fu! Infinite Kung Fu walks you through familiar corridors in the house of martial mayhem, but still smashes your face through walls of wonder and into rooms where kung fu is afraid to go. Catastrophe has knocked most of the world back to the middle ages — and to make matters worse, the dead are rising from the grave as zombies (reincarnation gone wrong)! 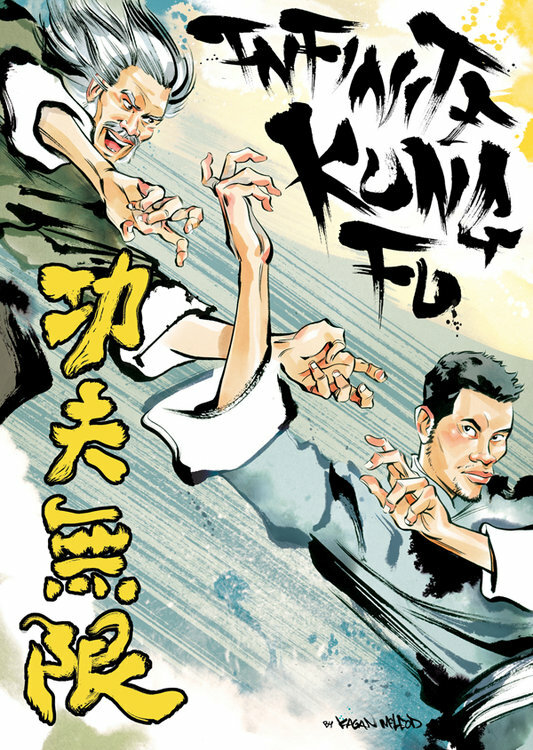 In this world, where the way of the fist is a way of life, ex-soldier Lei Kung must infiltrate the evil emperor’s five kung fu armies and stop him from destroying all life on the planet. Allegiances are blurred as techniques are perfected, and Lei Kung becomes less certain who’s friend and who’s foe in each chapter!